With the US launching a federal investigation into Huawei over alleged theft of intellectual property from US carrier T-Mobile, and US lawmakers once again weighing a ban on sales of US-made microchips to ZTE and Huawei over suspicions that both companies violated US sanctions on Iran, the US's campaign to shut Huawei out of Western markets took yet another step forward on Thursday when the Wall Street Journal reported that Germany is considering a ban of Huawei products in the country's 5G networks. The effort, reported by WSJ and German newspaper Handelsblatt, is focusing on indirectly banning Huawei from telecom networks' "core networks" - the essential functionality of a mobile network. And while the effort is focused on 5G, it could also apply to 3G and 4G networks. Though it hasn't determined exactly how it would go about enforcing the ban, Berlin is considering tightening security requirements for building 5G networks, the next-gen wireless technology for which China has established itself as a world leader. The tighter security requirements, which would be enacted following a campaign by the US to convince its allies to ban Huawei products in local telecoms networks on national security grounds, would make it effectively impossible for companies to use Huawei equipment. If Berlin follows through, it would represent a major blow to Huawei. Germany is one of Huawei's most important foreign markets. And until now, Berlin has been incredibly open to Huawei doing business in Germany. Huawei's European headquarters are in the German city of Dusseldorf. Germany has the largest economy in the region of Europe, Middle East and Africa, a market where Huawei receives the largest share of its revenue outside China. In 2017, Huawei earned 27% of its $92.6 billion in revenue from EMEA sales. Reports last months suggested that Germany's cybersecurity service was exploring setting up labs that would allow it to vet any security threats from foreign telecoms companies. Perhaps surprisingly, Germany's business lobby opposes excluding Huawei from the German market. Dieter Kempf, head of Germany’s powerful business lobby BDI said Thursday that no equipment vendor should be excluded from Germany’s 5G network as long as there is no proof against them. 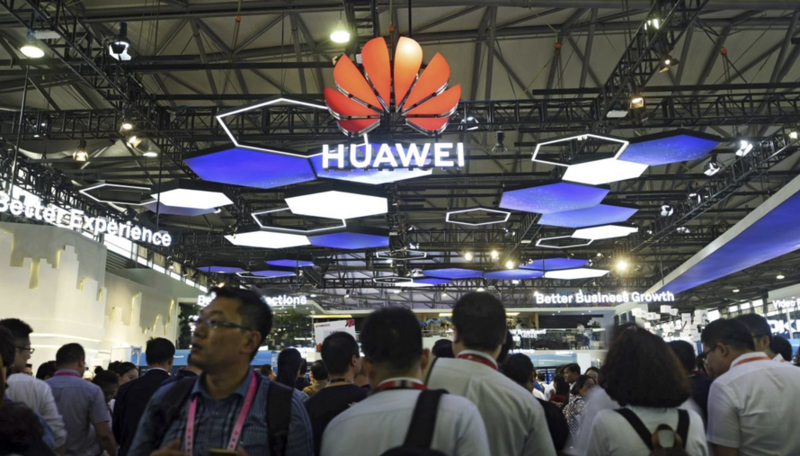 "I think it would be completely misguided to insinuate a danger of any vendor, no matter what its name or origin, if this hasn’t been proven," Mr. Kempf said when asked about efforts to ban Huawei from the network build out. The report comes as Germany is preparing to host an auction for 5G spectrum licenses this spring. The auction will see the country's telecommunications carriers bid for rights to host ultrafast 5G connections. Huawei is already a significant vendor, but Germany's Deutsche Telekom has said it would review its purchasing strategy in light of recent security concerns. Predictably, China wasn't happy about the news, and a spokesperson for the Chinese government accused Berlin of "politicizing" 5G. Notably, Germany's review of Huawei's potential for security breaches follows the arrest of two men in Poland - including a former Polish security agent and a Huawei executive and Chinese national - on espionage charges.